Author's note: After reading this in-depth interview with Mark, check out my follow-up with him in October 2013! If you ever get the chance to talk with Mark Dawson, you’ll notice a couple of things right off the bat: he loves humor and will almost certainly make you laugh, no matter the subject; and he listens to you, showing a genuine interest in what you have to say. And so it was during our conversation by phone on September 12. I haven’t even met the man in person yet, and we were talking like old pals for more than an hour and a half, sharing memories of our favorite bands and concerts, talking about sports, and a lot more. We talked briefly about other recent interviews I’ve done, the latest having been with Doug Clifford, the drummer of Creedence Clearwater Revival. As many of my readers and friends know, I’m starting to get into lyric/poetry writing a little bit, and Mark even took some time out to give me a few pointers on the business side of music, which I really appreciated. As with all of my interviews, I’m extremely grateful for the opportunity, and I hope you’re just as excited to read these words as I was in writing them. 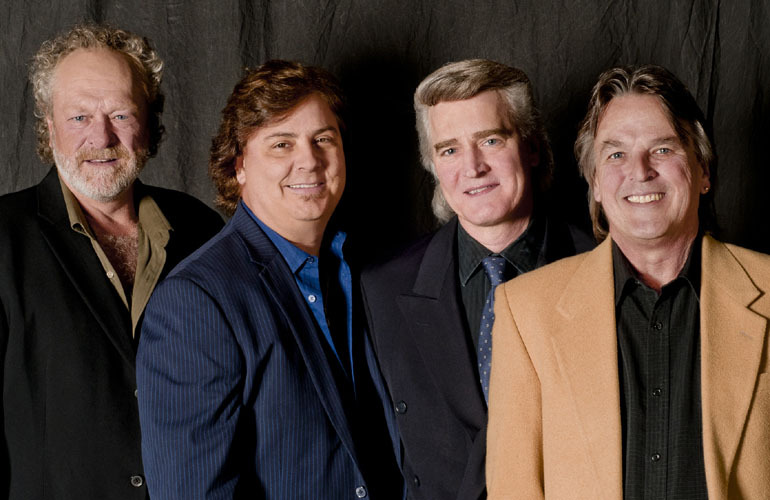 Serving as the bassist and lead singer of The Grass Roots comes naturally to Mark. “I’ve always been a sucker for mid-60s pop,” he explained. “And not just Brit pop, but American pop. The Buckinghams, Paul Revere and The Raiders, The Seeds, Gary Lewis and The Playboys, and of course, The Grass Roots!,” he added. Wisconsin State Fair, August 2012. Performing in January 2011 at the Star Plaza Theatre in Merrillville, IN. But in addition to helping to carry on the legacy of one of America’s greatest groups, Mark is also making a name for himself as a solo artist, as well. He’s currently working on his second solo album, and hopes to have it completed sometime this fall. Entitled, “Making Noise”, he credits his wife, Cathy, for coming up with the title. “I have an in-home studio, and she always says to me, ‘Go make some noise,’” he explained with a laugh. One of the songs on the album, “Cold Sweat on a Hot Night”, is available for free download at Mark’s Web site. The album promises to be a lot of fun, featuring Carl Giammarese, lead singer of The Buckinghams as well as a solo artist in his own right, and at least one member of the Ides of March, among others in an all-star lineup. Mark can also be heard on a few group albums. He did a couple albums with The All-Night Newsboys in the mid-90s. And a song entitled, “She’s Gone Hollywood”, which Mark appeared on in an album released in 1982, is getting new life, thanks to The Numero Group, a record company known for putting together high-quality, unique compilations. “That was pretty exciting. I just received this phone call out of the blue one day from someone at The Numero Group saying they’d like to use this song in a compilation album, and that they’ll be in touch to discuss the royalty arrangement,” he said. The compilation is named Buttons: From Champaign to Chicago. “They do a great job finding material for their compilations, and they also do great liner notes - they’re so nicely written, and they really provide the reader with rich background info,” Mark added. A big fan of Paul McCartney, you may see Mark in the crowd if you’re catching McCartney’s show in St. Louis on November 11. “We just bought the tickets this morning, actually, and I’m really excited,” he told me. 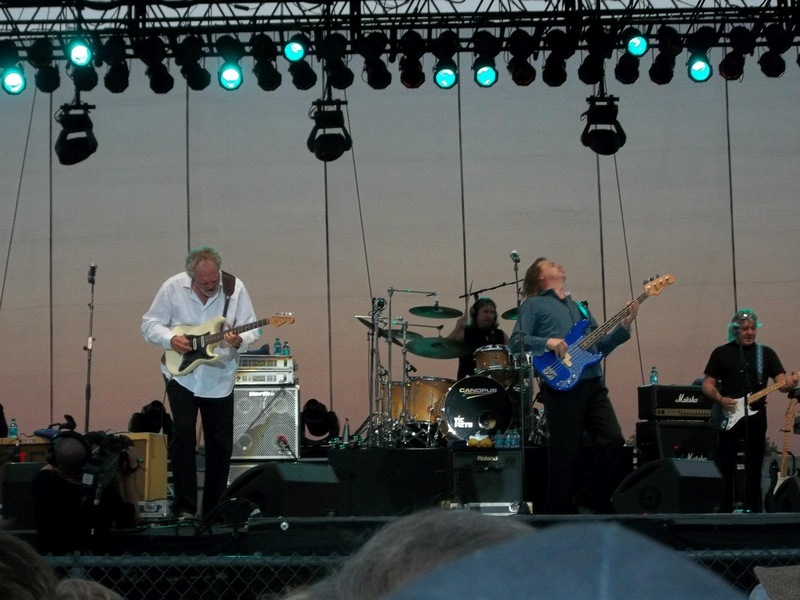 The Grass Roots are expected to have a new album out in 2013, as well, the first album with Mark as lead singer of the band’s current lineup. The background story on this live album is interesting. 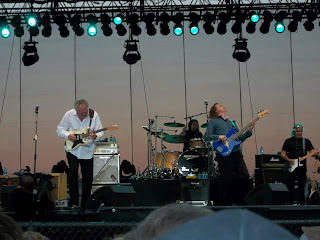 As Mark explained it, the band was performing at the Sausalito Art Festival on September 2. That performance was being recorded for this new album, when, about 40 minutes into the show, the entire festival went down - everything was being run on solar power. In the end, the band lost those first 40 minutes or so on the recording, ending up with only 18 minutes. So The Grass Roots are scheduled to be back out in California in October, this time for a private show in Cloverdale, where the band will give the recording a second go. Mark Dawson's take on a Grass Roots classic, "Temptation Eyes"
In addition to keeping busy with recording, Mark is also an aspiring author - well, of sorts. He’s working on a book he hopes will be out in early 2013. As with his new album’s title, Mark credits wife Cathy for the idea of the book, which he describes as, “…a little paperback, toilet humor kind-of-book.” Based on, “…the silly, ridiculous things I say on Facebook and Twitter,” Cathy noticed one day that he has over 5,000 Facebook and Twitter posts, and that’s where the idea started. It’s a funny book you don’t want to miss, and Mark said he’s in talks with a, “…famous person…” to pen a foreword. When not on the road touring or in the studio recording, Mark enjoys the simplicity of everyday life. “It sounds cliché, but I really enjoy each and every day,” he explained to me. “Cathy and I hang out a lot, do spontaneous things - dinner, farmers markets, the beach. I love playing with the local musicians when I get the chance. I don’t like schedules, like to be spontaneous, be free-flowing.” Mark is also a big pro-sports fan, mostly baseball and football. “Go Pack!,” he told me, in reference, of course, to our beloved Green Bay Packers. Asked if he was keeping an eye on anyone in particular as far as up-and-coming talent, Mark was quick to point out a band called The Dunwells, made up of five guys out of England. He noted that The Grass Roots played a show in Rochester, New York, and The Dunwells was the opening act. “They were like Crosby, Stills, and Nash, only more modern, more electric guitar,” he said. “They were awesome. I ended up buying their CD. One night, I turned the TV on, and they were on the Jay Leno show! Excellent songwriters and performers.” He also enjoys the work of The Decemberists, the indie group out of Portland, Oregon. For this self-described punk kid with Chicago roots, it’s been a heck of a fun journey, the kind of journey that dreams are made of. The adventures continue, and he invites you to tag along with him. Mark is a great guy and a super talented musician! - I saw Mark at one of the Happy Together tour dates in Orlando, and asked him if he would do a local charity event, He was excited to help out! - The event was a great success because of people like Mark! Great story, Aaron, about a gracious and talented entertainer with his own eye view and unique taste on the world. Thank you for sharing! Great article, Aaron. Mark is indeed a talented, gracious and witty gentleman with his own eye view, in addition to his bass' eye view, on the world. Thanks for sharing. I met Mark at the 2012 Happy Together tour in Effingham IL. He impressed me with his bass playing skills and his great vocals. He absolutely breathed new life into this music of the 60's and brought an unlimited amount of energy to the stage, that made me love this music even more. I was priveled to meet him in person and he treated me as if he had known me his whole life and and made me know that his love for his fans was genuine and that his fans were special to him and worth the extra effort. The next time I saw Mark he picked me out of a crowd and came over and gave me a big hug and made real again this special love that he has for his fans, what a guy ! Really great article! Nice Job Aaron. I will have to check out The Drumwells as well. The first time I met Mark was at the 2012 Happy Together Tour in Effingham IL. I was very impressed by his skillful bass playing and his powerful vocals. He actually breathed new life into this great music of the 60's and made me love this music even more. He brought such an energy and excitement to the stage like the great performer that he is. I was priveledged to meet him in person after the concert and he treated me as if he had known me his whole life. This made me know that the love he has for his fans is both special and genuine and that his fans are worth the extra effort. Some months later I saw him again at a concert and he picked me out of the crowd, called my name and came over and gave me a big hug and made sure that my wife and I got a photo with him and the band what great guy ! This is a wonderful article about Mark Dawson and what a genuine person he is. He not only is extremely talented, but has a GREAT sense of humor which we have witnessed on facebook. He is very personable as well, as my sister and I saw. At the Montgomery, AL Happy Together Tour in June 2012 we met Mark and Carl Giammarese out back. This was my sisters first Grassroots concert since Rob Grill had passed. She loved Rob and told Mark how she missed Rob and this was hard for her. Mark was so understanding and hugged her twice and tried to make her feel better. He also responds to emails we send him and takes time on fb to comment. We love the Grassroots and can hardly wait to see them again and hopefully get to meet Mark once more.